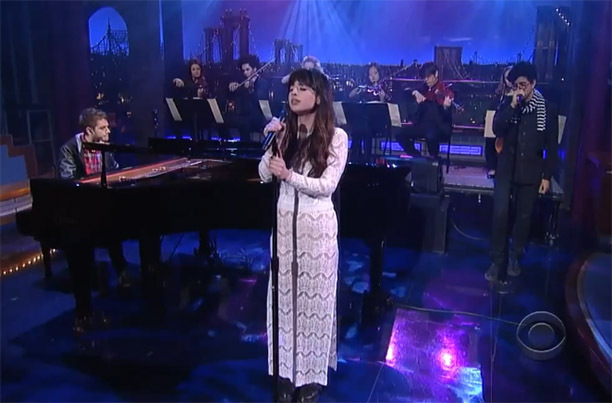 Check out Foxes doing guest vocals for DJ Zedd on the David Letterman Show the other night. She looks and sounds amazing, wearing our ELAINE lace dress. We love her girly yet edgy style, shes totally reminding us of our favorite rock goddesses from back in the day.